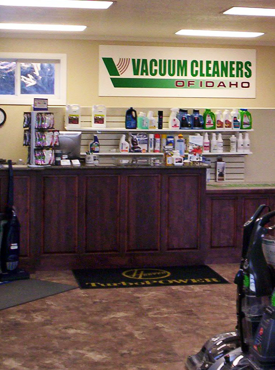 Vacuum Cleaners of Idaho is proud to be a locally owned business with strong ties to the community. 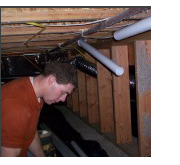 We have been established in Twin Falls for over 50 years as the best in the business. We provide friendly expert service to our neighbors in the Magic Valley and surrounding areas. When you visit our shop, you never have to choose between quality and great prices. We offer superior products and service at a great value. With the assistance from our courteous and professional technicians, you will feel confident either in selecting a new vacuum for your particular need and budget, or by simply repairing your current vacuum. 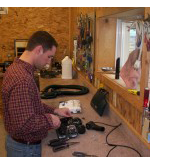 Brad specializes in central vacuum service and installation. There is not a house that he cannot install a central vacuum in. Brad also resides in the Magic Valley with his wife and 4 children. Our staff is dedicated to providing customer satisfaction with every sale and service. You receive a comprehensive warranty on all the products we sell. We also offer warranties on every repair. You can start your next vacuum repair with savings. We provide FREE estimates on all services.